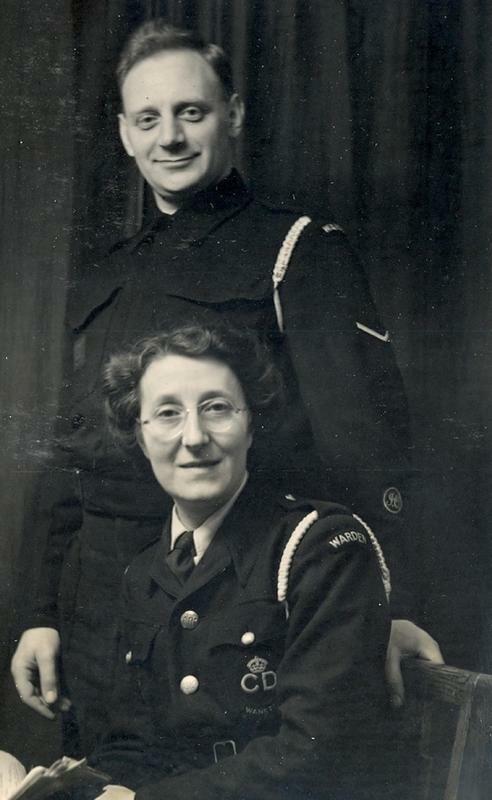 Incident Officers (I.O.s) were responsible for managing the various rescue services that arrived at air raid incidents. London adopted the first trained wardens for this purpose in 1939. To distinguish them from other personnel they wore an 'INCIDENT OFFICER' armband and a light blue helmet cover - see below. A more permanent badge for Incident Officers was introduced in August 1940. The letters I and O in Cambridge blue on a dark background were worn on the lower right sleeve. In London, a badge with a stylised I and O in script lettering was produced. The designated position (as per ARP Memo 17) was midway between the sleeve seams and the bottom edge of the badge was six inches from the end of the sleeve. 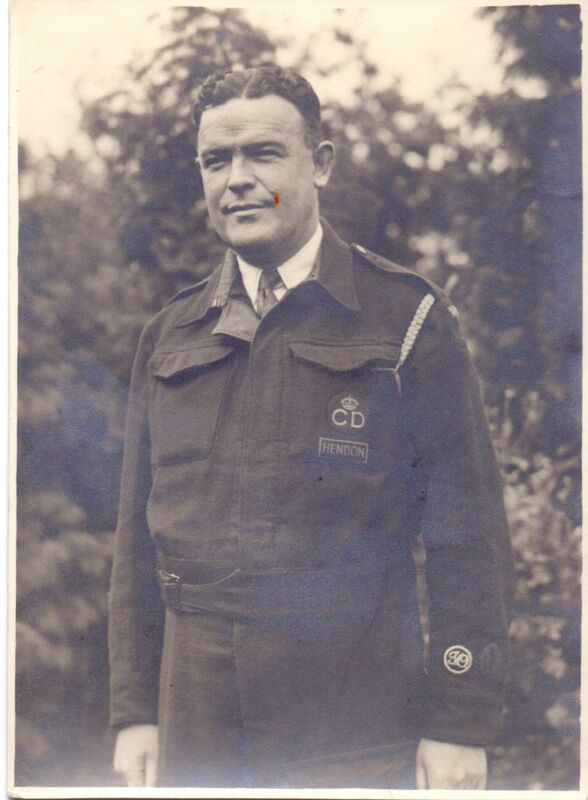 If the individual also held the the Bomb Reconnaissance Officer badge the IO badge was placed 'forward' and the badges were placed half an inch from each other. The use of Incident Officers was adopted nationally and wardens as well as serving police officers were trained to organise the services at incidents. Two variations - one printed, one embroidered - were worn outside of London. Incident Officer (IO) printed sleeve badge. Incident Officer (IO) embroidered sleeve badge. 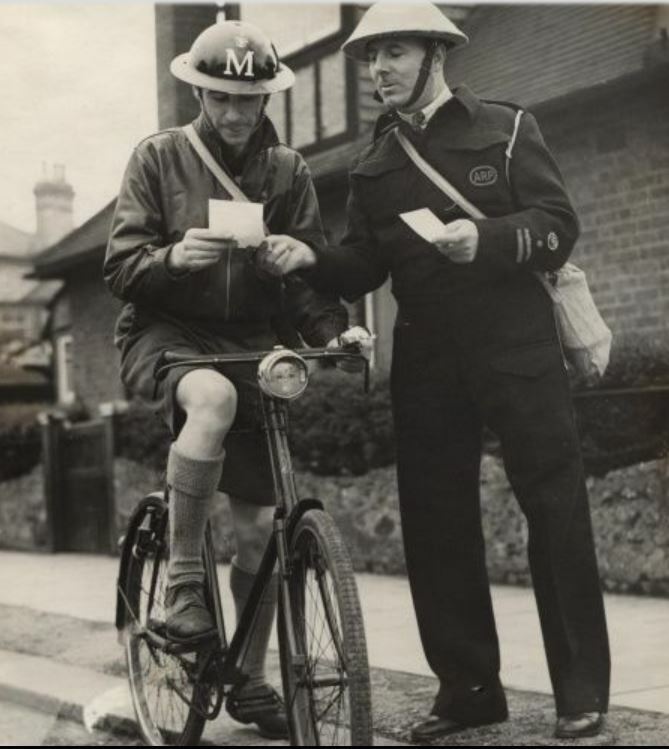 A Cambridge blue helmet cover was available that an IO could affix to their helmet appeared in London in early 1940. This quickly allowed other services to find the Incident Officer. The cover could be removed and passed to another IO if necessary. ​Original examples are exceedingly rare. Am incident officer armband was also manufactured. 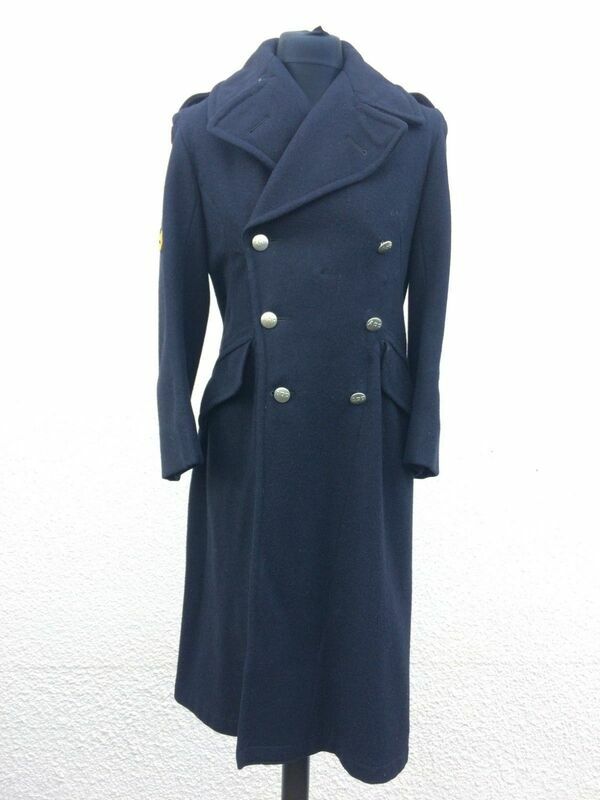 Made of light blue material it features the ARP emblem with 'INCIDENT OFFER' below. It was worn on the upper sleeve and held in place by a buckle. Incidents were also marked by a blue and white checked flag.